built after May 1, 2005. 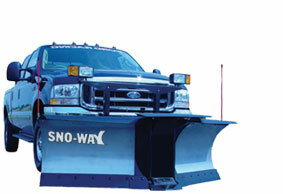 The Sno-Way 28V snow plow is constructed for the commercial plower, business owner, municipality, or other large institution with 3/4 ton to 1 ton trucks. 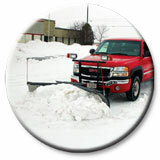 The 28V snow plow ensures that plowers make more money with increased efficiency. The V plow is quicker, more responsive, easier to manipulate in tight conditions, and can scoop up to four yards of snow in a single pass. Combined with Sno-Way's optional Down Pressure™ System, this snow plow has more cutting edge pressure than any plow in its class. Moldboard-16 Gauge high strength steel roll formed to a 14" radius, optional polycarbonate inserts or optional stainless steel inserts. Laser cut ribs and supports of high strength low alloy steel - robot welded to support steel component top and lower formed rails. Cutting edge system comprised of two ½" X 6" high carbon steel C1080 wing edges, with a center tower edge of flexible high density UV protected high abrasion resistant polymer. Cutting edges mounted with Grade 5 fasteners. Trip Springs- Two full load trip springs 2-5/16" OD X .438 diameter made of oil tempered spring steel attached with two 5/8" X 6" eyebolts. Tripping position is a full blade 50° angle and all position trip pattern with forward wing relief. Blade trip pivot is secured by two ¾" Grade 5 pivot locking pins through the lower tower assembly. Blade Guides- Two high visibility blade markers. Plowing angles are a full 30° left and right, full frontal position scoop to V position, and all angles in between. Wing functions are independent or in unison. Disc Shoes-Three special alloy abrasion resistant heavy duty cast shoes. 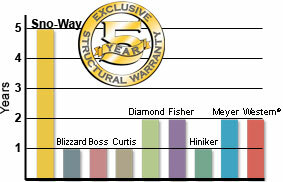 Patented contour following power tower with 10° pivot for following uneven terrain. Formed side and rear channels of 2-1/2" X 2-1/2" X 5/16", and 2-1/2" X 2-1/2" X 1/4" steel, sandwiched with high strength low alloy plate and robot welded. Pump platform is a formed channel plate that is robot welded. Lift Mechanism- Robot welded high strength low alloy steel lift bar and bell crank assembly to provide for direct linkage to the plow A-frame for lifting and lowering plow assembly. Specially designed high strength low alloy steel center tower with 12" frontal push surface. Center wearstrip mounts to this tower and closes all gaps between tower and wings. One inch pivot wing connector pins. Adjustable contour stops to accommodate vehicle heights. Patented contour following floating head with 10° pivot allows for more consistent cutting edge contact on uneven terrain. Custom designed robotic welded high strength low alloy steel sub frames fastened with Grade 8 hardware for secure attachment to the vehicle frame, meeting all Federal Motor Vehicle Safety Standards (FMVSS). Attachment- A-frame is secured to the vehicle sub frame at three points utilizing three 3/4" diameter loop handle pins with spring clip pins. All snow plow components are prepped in a six or eight stage wash system, rinsed with phosphate and finally rinsed with reverse osmosis water for the ultimate in paint preparation. 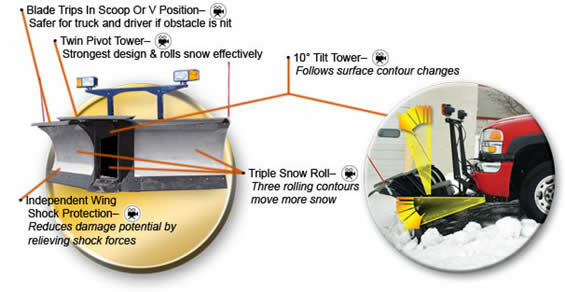 All snow plow components are powder painted using air to fluidize the powder and applied with a calibrated paint gun. Following the application of powder, components are uniformly processed through a gas fired oven where the parts are brought up to a pre-established temperature to assure proper adhesion and curing. Electro-Hydraulic power unit consisting of a fixed clearance displacement gear pump with 2000 psi relief and direct tang driven by a 4-1/2" 12 Volt DC motor. Hydraulic power unit is protected by a removable polyethylene cover for protection from the elements. Pump with filter screen and return tube immersed in a polyethylene reservoir. Valve manifold is constructed of aluminum and contains six solenoid cartridge poppet calves for gravity system. Cushion relief valves are set at 2400 psi and has a changeable restrictor orifice to adjust plow drop speed. Hydraulic Cylinders- One 2-1/2" X 4" lift cylinder and two 2-1/4" X 9" angling cylinders each with a V packing, wiper ring and adjustable gland nut. All cylinders are connected to the hydraulic power unit with 1/4" 5000 psi rated hoses. Hydraulic power unit is controlled by a micro-processor based control. Plow functions can be performed independently or in unison. Hydraulic power unit is grounded to the vehicle negative circuit. Battery power cable is connected to a 150 amp thermo circuit breaker for protection. Hydraulic Fluid- Hydraulic fluid is low temperature, anti-foam, air craft quality hydraulic fluid with a pour point of -70 degrees Fahrenheit. Hydraulic Down Pressure units would utilize the same specifications as above with the addition of two cartridge poppet valves, a relief valve and an electric pressure switch. Use of hydraulic down pressure system is selected by the operator and does not operate without being selected. Plow and vehicle headlights are automatically selected through a relay system. Light kit is fully removed from the vehicle as part of the snowplow assembly leaving a clean vehicle profile. All snow plow components are removed as one assembly from the vehicle by disconnecting mounting pins and harnesses, leaving a clean vehicle profile. Scoop position moves up to 4 yards of snow. 30° Angle Plowing Width 86" 94"
Cutting Edge 1/2" x 6" 1/2" x 6"
Lift Cylinders (Gravity) 2" 2"
Lift Cylinders (Down Pressure™) 2 1/2" 2 1/2"